But that’s just the way it is, I assume, in most houses in the Philippines. Breakfast is almost like dinner in the sense that people still eat together whenever they can. Kids have to be up early for school and parents need to prepare for work so it makes sense for everyone to eat together. Well, at least it was like this in our house when we were growing up. There’s only one cook – whether it was my mom or a helper who makes breakfast so it’s impractical to cook each breakfast dish on piecemeal basis. If you want to eat a later breakfast, you may, but it would be a cold one. We usually gather at a certain time and though we would leave some food for anyone who wakes up later than usual, the food would have gone cold. My brother can attest to this! When we were young we didn’t have a microwave so nuking the food to reheat it was not an option. Even nowadays, not many people in the Philippines use the microwave though already readily available. Anyway, talking about hot breakfasts and eggs – here’s a very easy dish that you can prepare in minutes. Love this breakfast anytime! If you wish to print the recipe, click the print-friendly icon above. Tick each image you wish to remove for easy and convenient printing. *You may use frozen spinach too. Preheat the oven to 400°F. Lightly spray or grease with a little oil individual ramekins or other small oven safe dishes that can accommodate 1-2 eggs. See photo above. Set aside. Place the spinach in a deep skillet or a large frying pan. Add a little water (2-3 Tablespoons). Using medium heat, cook the spinach just until wilted, roughly 3-4 minutes. Use either your hand or a spatula to pack in the spinach. Drain the excess water well especially if you are using frozen spinach. Crack 1-2 eggs on top of the spinach. Season lightly with salt and pepper – lightly because Feta cheese is pretty salty on its own. Sprinkle the crumbled feta cheese on top. Place the baking dishes or ramekins on a cookie sheet and bake for about 15-18 minutes or until the eggs are set/cooked (whites are set and yolks look firm on the edges) to your liking. I like mine well-done but some like eggs that are a little runny. Whatever you like as long as the eggs are susbtantially cooked inside, it’s fine. If you like what you see and would like to receive new recipe updates, we’d love you to join our site, like us on Facebook or follow us on Pinterest. Happy browsing! Wow… such a cute dish this is 🙂 Loved the final look of it! Thanks, Nandita! Glad to see you here! I am also in favor of hot breakfast. This is a perfect simple and easy breakfast…quicker than casserole!!!! That's true Shibi, very easy to prepare but it comes out delicious for sure! Thanks for visiting! I chanced upon your blog through food gawker, researching for breakfast recipes; so glad to see a pinoy blogger on the list! I love your photos, and your writing style… i will definitely try this recipe. keep up the good work! Thanks, Meriem! Glad you like it, it's just an easy recipe to whip up. Tried this for breakfast this morning….Amazing!!! My ten year old daughter and I loved it! That's wonderful, so glad to know that. Thanks for letting us know. I'm excited to try this! Easy undercurrents and its on my menu for tomorrow! Thank you! Thanks, Michelle! Please enjoy it! I just ate this for my lunch, and I must say…delicious! I am always looking for ways to support my vegetarian diet, and this was perfect! Very filling! This looks so good! And so healthy. I think it would be great for a nice brunch. Thanks for the recipe! Simple and lovely breakfast dish Abby! I happen to have all the ingredient s on hand and it's still morning…:) Loved hearing about your family traditions in the Philippines…. I'm going to make this right now!! Looks delish!! Hope you enjoy it Pammie Lou! Thanks! What a simple idea that I would have never thought of! I had some extra kale so I used that instead of spinach and it was fantastic with some fried rice. Wonderful! Thanks for letting us know! Can these be made ahead for a few weekday breakfast? I honestly haven't tried it that way as I've only eaten it the same day I baked it. I am not sure how nice the texture or flavor will be if left in the fridge for a day or two. I think it's best eaten the day it's made but if you do try otherwise, please let us know how it goes. Thanks! Oh man, this is good. I admittedly did not have high expectations, mainly because i have a love/hate relationship with spinach. Blended in smoothies – fine. In cheesy, crispy spanakopita – sure. a salad with delicious dressing – of course. but a whole bed of it with just a few sprinkles of cheese and eggs? i really did not know, but wow was that delicious. The feta is the winner here – it just adds such a nice salty flavor to the spinach, that i found myself gobbling it up. i overcooked my eggs more than i planned ,but they still tasted great. after 18 min of cooking, my whites still looked a tad runny, but adding a few extra minutes i realized that's just how they would look after running a bit during prep. i will try again for less to see if i can get that drippy yolky texture i love. definitely eating this again – it totally hit the spot for what i wanted for lunch. thank you! I'm currently baking this for the second time and my boyfriend and I love it! We never seem to have feta when I'm in the mood for this so we use whatever cheese is on hand. Today's is Asiago! This looks good, but if you want a runny egg, 15-18 minutes is too long of a bake time and the yolks will be hard cooked. 8-10 minutes max. I think I will try this since I like creamed spinach as a side with an omelette. Thanks for sharing. It's a single serve oval baking dish. Hope that helps. Thanks Diana. Have you ever used canned spinach? No, sorry. Fresh or frozen spinach would be best if you can get it. 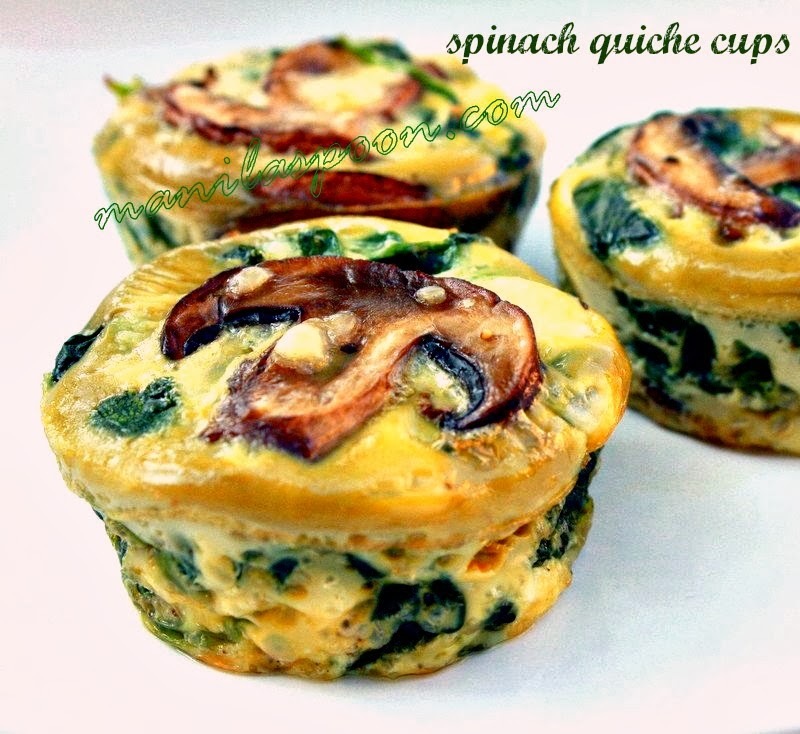 Have you ever tried this with fresh spinach into the oven, without precooking the spinach in the pan? Made this several times for dinner. So good and perfect! Hi. I’ve made this for supper for my hubby and he loved it. My son even gave it a try and enjoyed the flavours. Only issue I had was that my Feta cheese did not melt like yours. It was still crumbly but slightly roasted to a brown color. I used Feta with herbs in it. Thanks for sharing your Great Recipe with us. Very very good. Added some sautéed baby bella mushrooms too. Had to bake longer to get the egg whites cooked but then the yolks weren’t runny. Still good but anyone know how to keep the yolks runny and still cook the whites? I am so delighted to know you enjoyed this! Thank you for letting us know.